Brad Rawiller has received a ban of 12 meetings after been found guilty on two careless-riding charges out of the Makybe Diva Stakes. 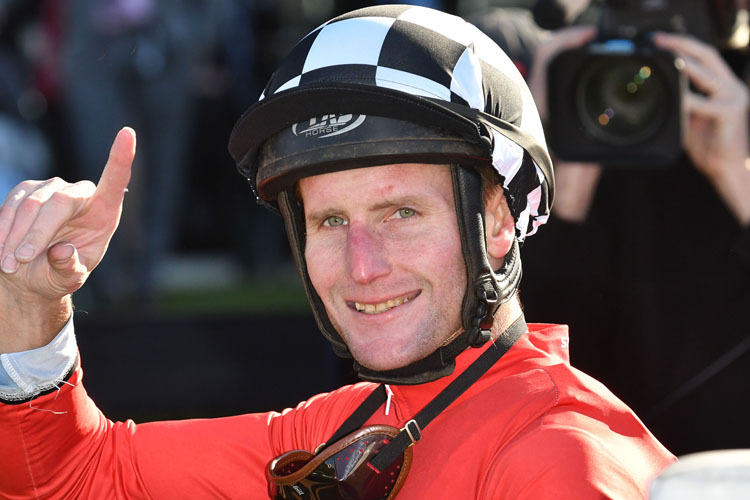 Jockey Brad Rawiller has been suspended on two careless riding charges out of the Group One Makybe Diva Stakes at Flemington. Rawiller, pleading guilty, was first suspended by stewards for causing interference on Black Heart Bart to the Mark Zahra -ridden Happy Clapper near the 200m. His second ban came out of an incident at the 7 f when The Taj Mahal was taken causing tightening to Kementari. Rawiller pleaded not guilty to that charge. Stewards suspended Rawiller for 10 meetings of the first charge and 12 on the second one. The suspensions will be served concurrently. After riding at Geelong on Sunday, Rawiller can return for the Moonee Valley meeting on September 28.